… study abroad got that much better. 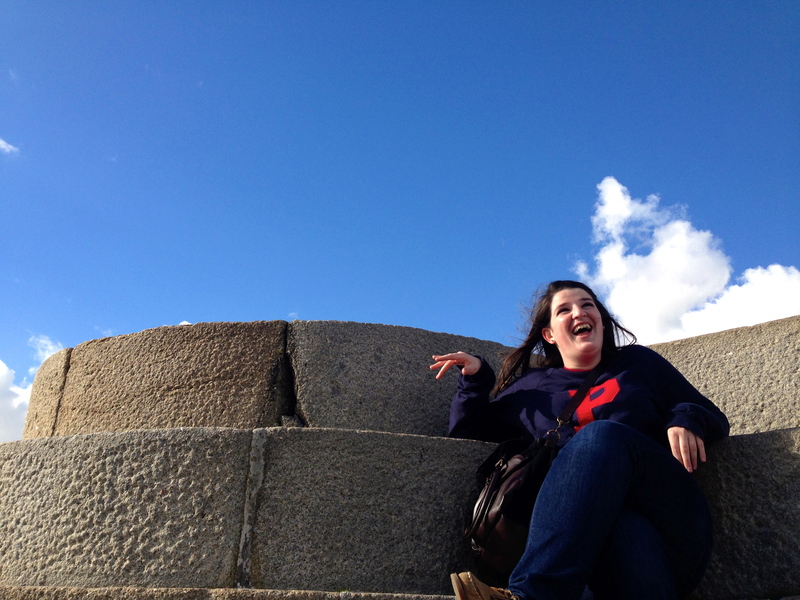 We spent our days doing a myriad of things in and around Dublin. I started sending Becks ideas about what a rough itinerary could include (with her veto being the final word, of course) about a week ago, and we pretty much stuck to its main themes, which are two of my favorite parts of my time here: beautiful views of Ireland, for one, and delicious food. Beautiful views was up first (well, not if you count tea and scones for breakfast). 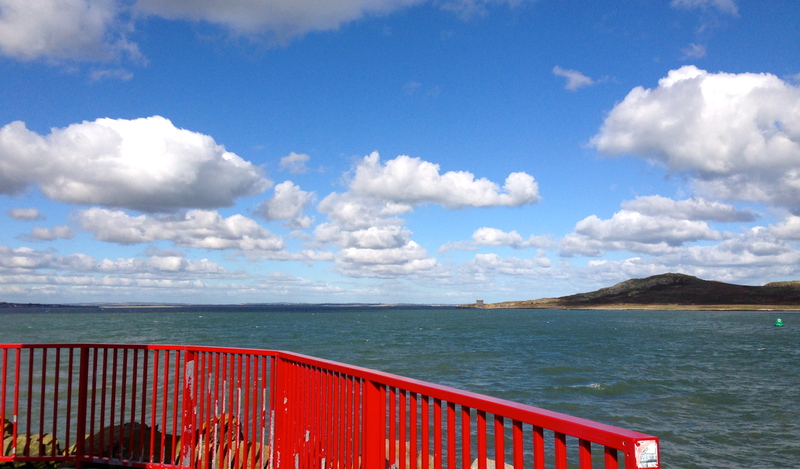 Once we’d deposited luggage in my room, I dragged Becky off to exchange her money and hop the train to Howth. I wish I’d been able to get a picture of her face when she saw the sea from the pier, but I wasn’t quick enough! Suffice to say it made the experience even more wonderful to know that my best friend was as amazed by this peninsular part of Dublin as I had been a few weeks earlier. 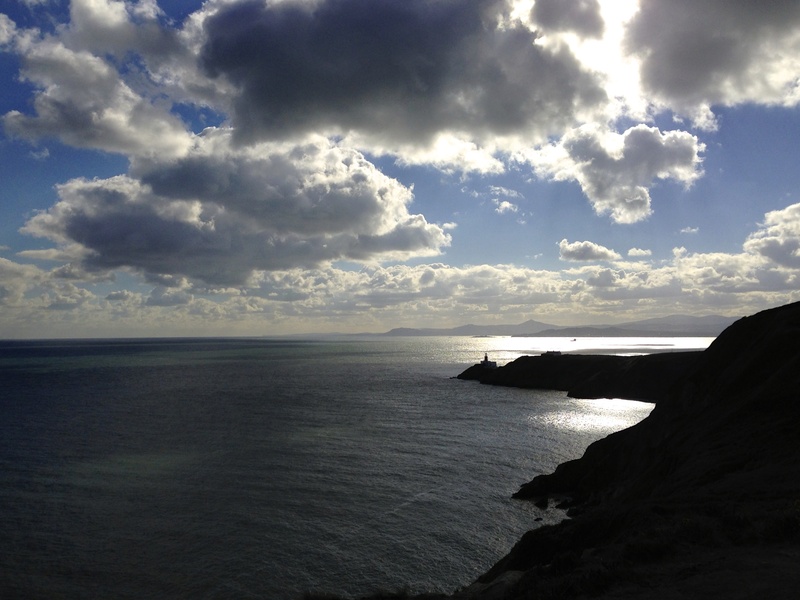 sittin’ by a lighthouse… in Ireland. Sitting by the sea, taking the cliffside hike — check and check. Proving to Becky that my pictures are not photoshopped and this country actually is as ridiculously colorful as it seems, even on a cloudy day: check. Letting her laugh over the meanings of my name — Connor can mean much wanted or strong willed, sure, but it can also mean wolf lover — acceptable, given that I can now laugh about her name meaning Snare of Britain and add that to a list of ridiculous names (not least of which is maple syrup) that I call her… priceless. I mean, it’s even more ironic given that she was visiting Ireland, which kinda is the historical snare of Britain (at times, at least). The cliffside hike was as lovely as ever. The amount of sunshine that graced her visit was absolutely ridiculous. If I could call such things miracles, I would. Maybe not miracle, but definitely an unexpected blessing! Made hiking much more likable, for one, and meant that Becks could see this beautiful place at its absolute sunniest. No, I’m not apologizing for that pun. What I was most excited to show her, though — aside from introducing her to friends & taking her on the cliffside hike at Howth — was, of course, the Temple Bar Food Market. It’s common knowledge amongst my friends and family that I frequently think with my stomach. What restaurants can we go to? What are we making for dinner? What kind of dessert can I make with these ingredients? Food astonishes me — that things as varied as cranberries, mustard, kale, honey, and quinoa can form a delicious salad? Who came up with that idea?! 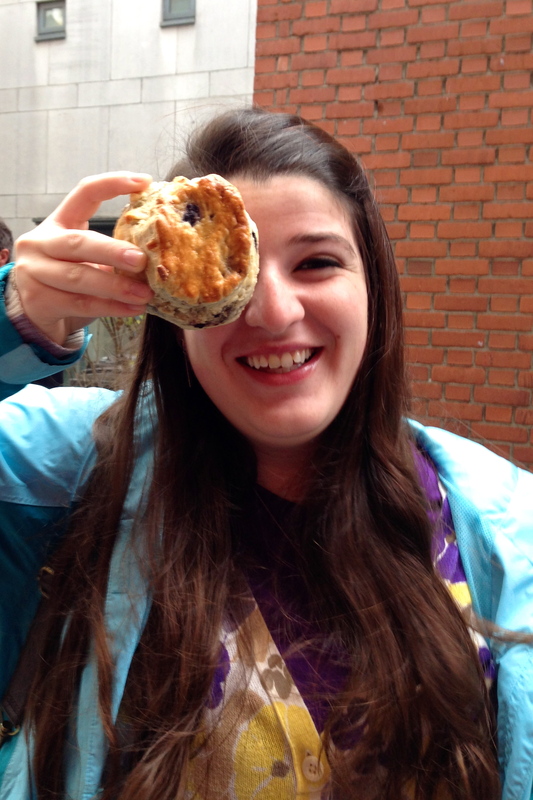 The way the people running stands at the Temple Bar Food Market make food is, cheesy as it sounds, an art — I mean, look at that scone. It’s bigger than Becky’s fist and every bite is ridiculously delicious. 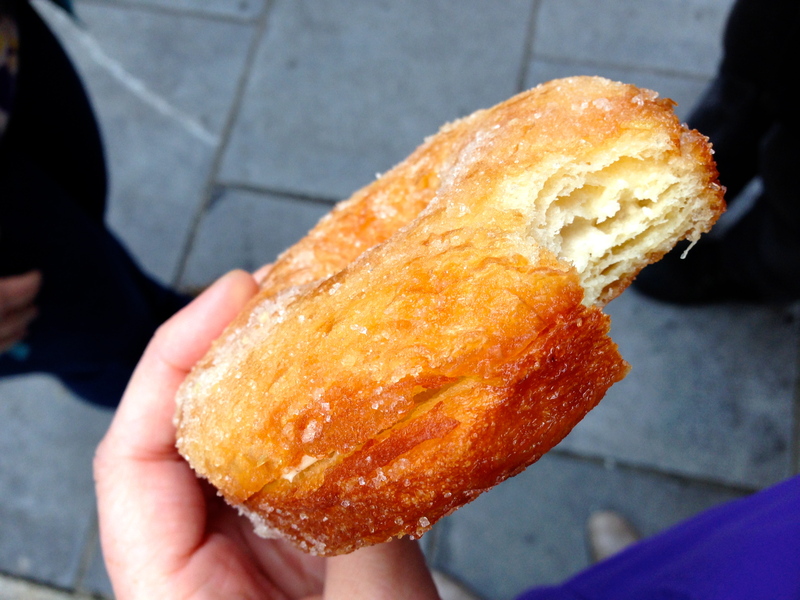 Alternatively, look at this cronut! I mean, who would’ve thought that combining custard, donut, and croissant would result in such a flaky, golden, sugary bit of delectable pastry? Less of a carbs person, more of a fruit person? 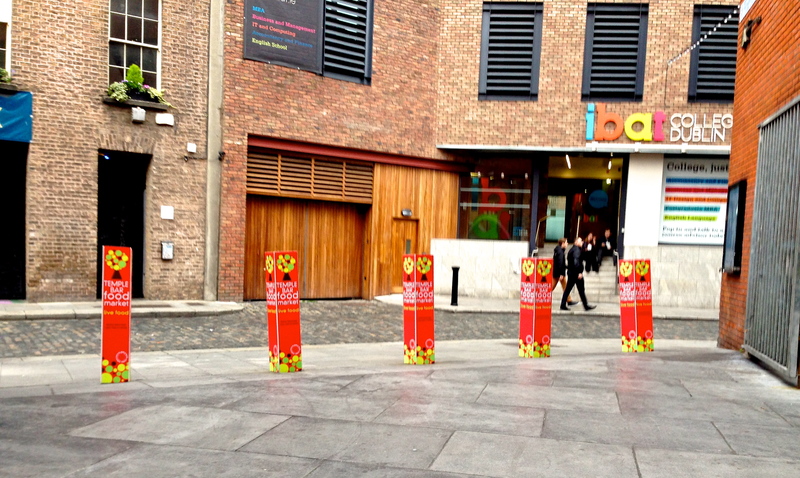 Move right along to the fruit vendors on the north side of the Liffey. 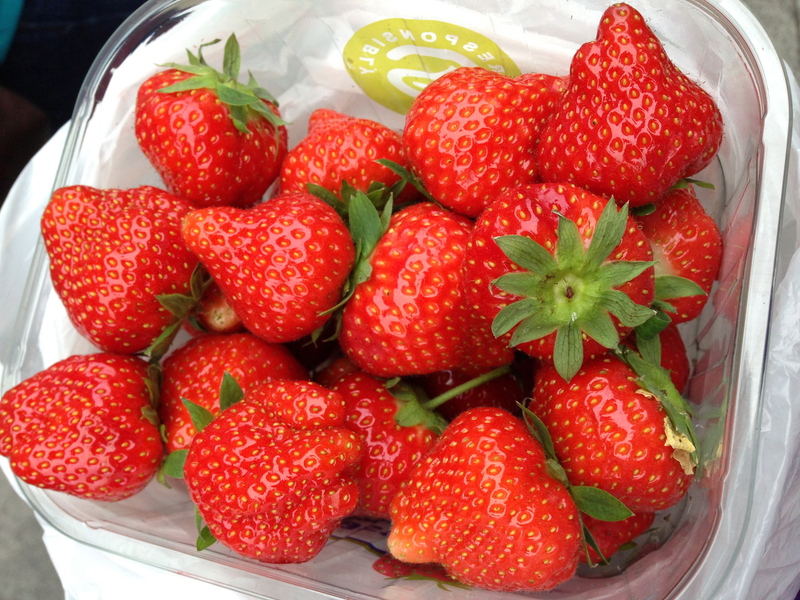 Have you ever seen strawberries like these? Yeah, I didn’t think so. And no, I didn’t edit that picture at all. Not the brightness, not the contrast, not the levels — and definitely not the saturation. You just don’t get berries like this in the States! See how strange the shapes are? Most of the berries you buy in a grocery store states-side will be, if not the same size, similar in shape and color. These are all over the place. See, my views on food run much the way of this English course I took once called “Literary Feasts” — food brings people together in a unique way, cementing bonds and relationships, and oh, by the way, it’s edible. Awesome friends/fellowship + awesome food = an especially awesome part of life, if you ask me. Sharing is half the fun (thus the giant box of strawberries. I didn’t eat them all on my own)! 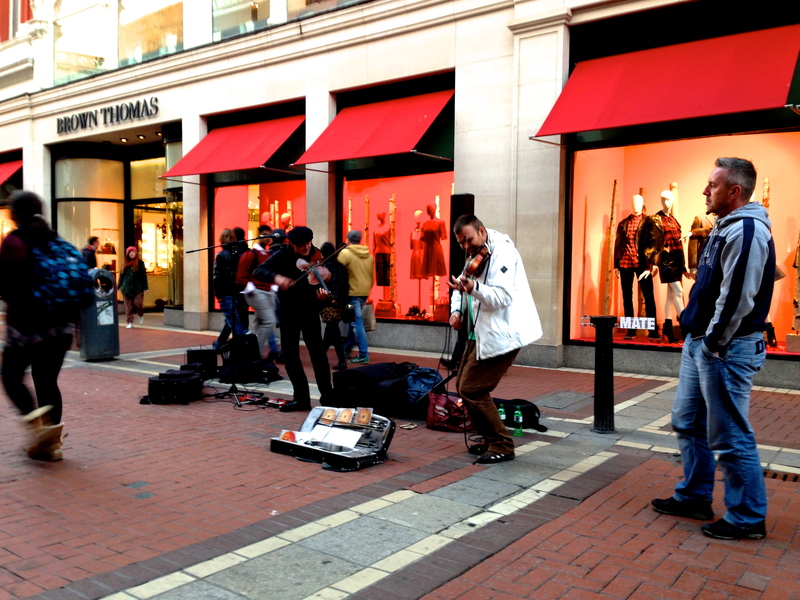 Moving on from food, Becky also got to see some other awesome parts of Dublin, such as street performers on Grafton Street — these fiddlers, for example. Irish adventures aside, though, having Becky here imbued my study abroad trip with a bit more reality than it had before she arrived. The thing about best friends, of course, is that they push you to think about things — like who you are & what you represent & what you’re doing with your time. Well, Connor, you tell me, you certainly seem to be doing things with your time. And that’s true, I certainly am! In fact, I’m playing hookie next week and missing a class so Lis and I can go to Scotland (don’t worry, I checked with my professor… missing one week is not going to harm me in any way, shape, or form) and, a week later, I’m flying out to the Netherlands! Here’s lookin’ at you, Erika!! Still, it’s one thing to be doing all of these things — taking advantage of my time in Ireland and Europe, traveling the world as much as I can (the plan is to reach a grand total of either eight or nine countries by the time I fly home – !!!) — and another to be aware of the blessing, grateful for these experiences, and actually learning from it all. That’s the next challenge for me, I think; while most of it will wait until my flight home and the weeks of Christmas break immediately following, I do want to be aware of what I’m learning and watch how it’s shaping me. I haven’t been taking much time to reflect while I’m here, and that is definitely something I want to be doing more consistently! That being said, I leave you with a picture from one of the food adventures Becky and I embarked upon this weekend: making our own salted caramel hot chocolate with the help of the lovely Lis. We accidentally-half-on-purpose added twice as much chocolate as the recipe required. The result was incredibly rich and delicious (although we were all glad we only had one glass to get through!) 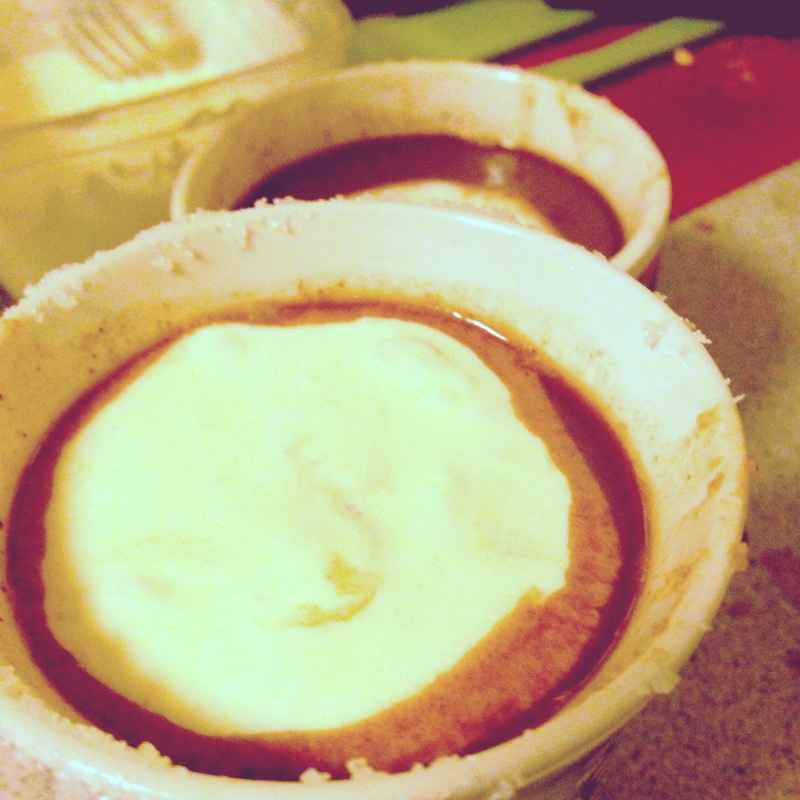 and, yes, encouraged me to try making hot chocolate more frequently. Updates to follow, I am sure. 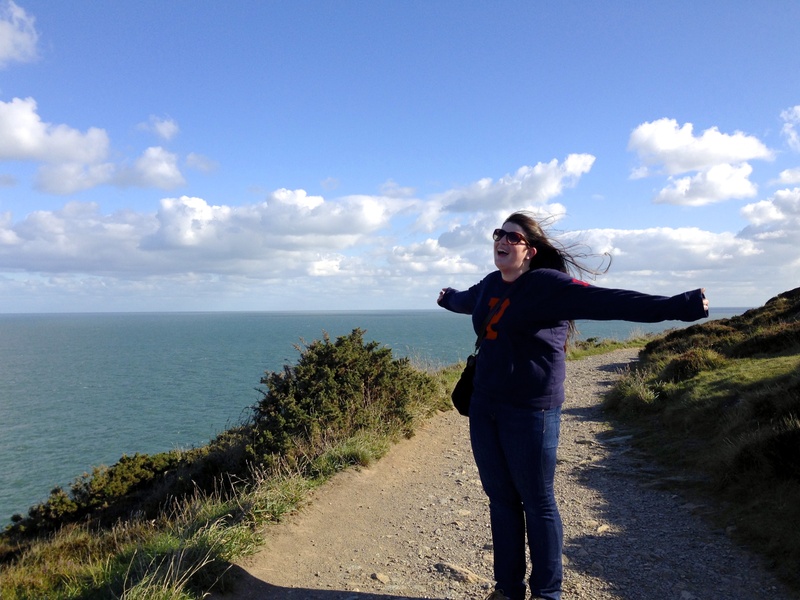 This entry was posted in a semester abroad and tagged amusing adventures, dublin, food, howth, ireland, study abroad, traveling by connor grace. Bookmark the permalink.